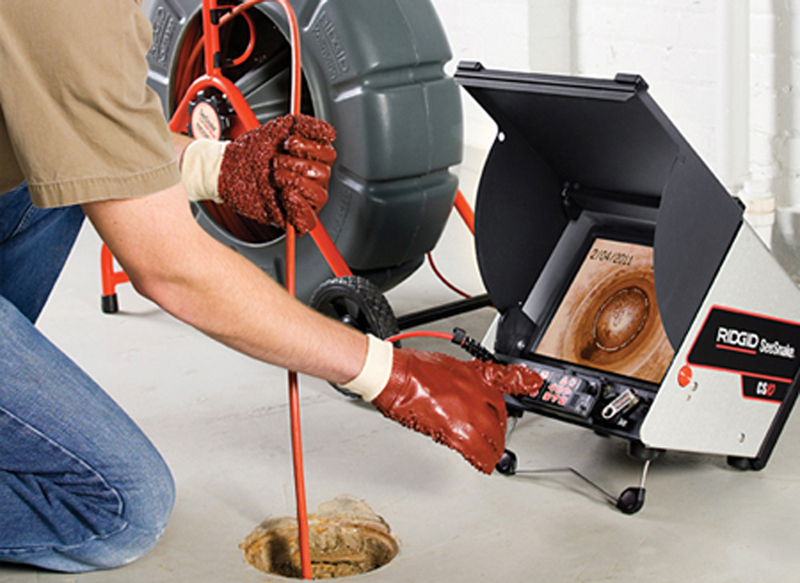 Rooter-Man GTA uses non-invasive sewer video camera inspections to identify your plumbing problems, for a convenient, economical, and mess-free process. Many general plumbing contractors or traditional plumbers may need to tear out your drywall, dig up your lawn, or just make a big mess in general in order to identify your sewage and plumbing issues. This can be expensive, take up lot of your time, and make a huge mess, just to find the cause and location of your plumbing issue. Luckily, Rooter-Man GTA always keeps up-to-date with the latest plumbing technologies, and are able to offer the latest plumbing video camera inspection services. This tool allows Rooter-Man GTA service technicians to quickly and accurately uncover the plumbing problem, without any need to make a mess and cause additional expenses for you. The licensed and insured service technicians can identify the cause and the precise location of the plumbing issue and help you make a crafty and educated decision on what is needed to be repaired or replaced. Homeowners decide to conduct a sewer video camera inspection for many reasons. In many cases, people have used plumbing video cameras in order to find lost jewelry or other valuables. They have also been used to locate any small animals that have become lost or stuck in the pipes. People who are looking to buy a new home often request an inspection to check the plumbing system of potential new homes. Our service technicians utilize this cutting-edge technology in order to achieve optimal results for Rooter-Man GTA customers. 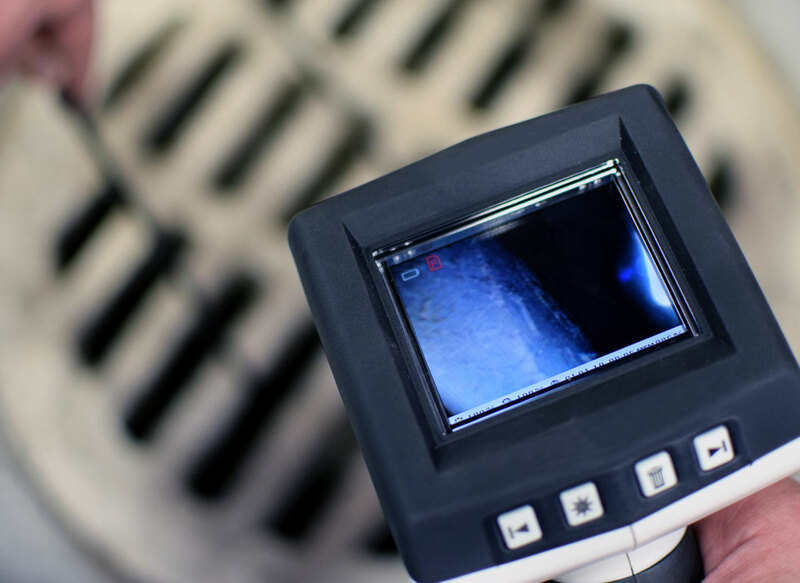 A general sewer video camera inspection can benefit a homeowner in many ways. Firstly, it helps boost your confidence of the health of your plumbing system. It also helps you identify any issues early on so that the potential issue can be resolved. Additionally, it is a non-invasive process, so you do not have to worry about Rooter-Man GTA service technicians having to dig up your beautiful lawn or mess up your drywall. A sewer video inspection can also save you hundreds of dollars on your utility bill, as it can help you identify any leaks in your pipes. Whether it is a small or large pipe issue, a sewer video camera inspection by a Rooter-Man GTA service technician can quickly identify it. Let Rooter-Man GTA inspect your pipes and identify your plumbing issues early on, so you can save hundreds of dollars! Rooter-Man GTA sewer video cameras are waterproof and have the ability to inspect pipes that are underground, within cement, and under the foundation of your home. A trained and experienced Rooter-Man GTA service technician will insert a flexible rod with a high-resolution video camera into your pipes, allowing them to see your entire pipeline, even around the corners. Real-time video image transmission allows your service technician to identify the issue in your pipes and solve the problem accurately and efficiently, no guesswork needed. Schedule a sewer video camera inspection with Rooter-Man GTA today, and we can help you save hundreds of dollars on your next water bill!